As if Maroon 5 haven’t destroyed our Spongebob-related dreams enough already, an artist re-imagined the cartoon character as a human being, and it’s horrendous. We’re all familiar with Spongebob Squarepants; the bright, happy, yellow sponge who lives in a pineapple under the sea, surrounded by his nearest and dearest sea-dwelling friends. Similar to many animated characters, Spongebob and the gang are quite oddly shaped, but that’s of course down to their characters. Our yellow protagonist is square because he’s a sponge; meaning he has to wear square clothes. Patrick Star is a starfish, so his head is unusually pointy. It makes sense in context, but if a human were to have these traits, you can imagine it would look pretty scary. But we don’t have to imagine, because Miguel Vasquez has done the work for us. Miguel, who lives in Ontario, Canada, is a 3D artist who’s made a hobby out of bringing our favourite animated characters to life. 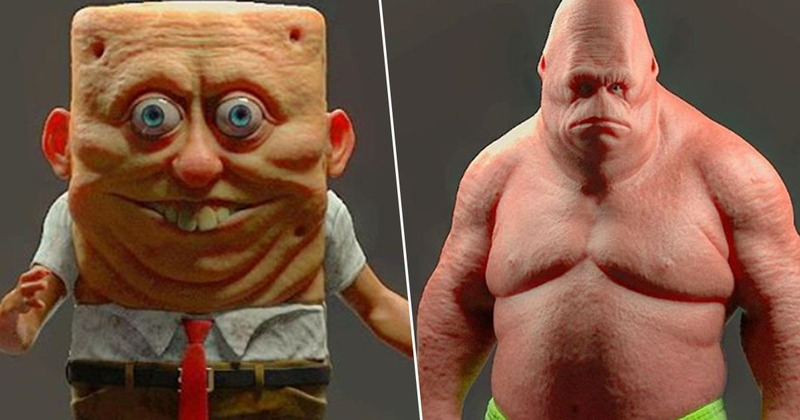 Unfortunately, rather than fulfilling childhood dreams of ‘I wish Spongebob could be my friend in real life!’, the creations are actually quite disturbing. 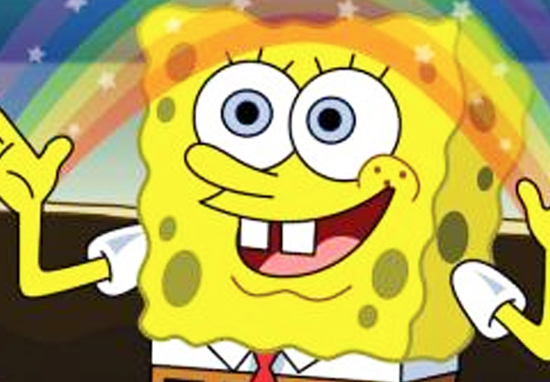 As you can see, the features which make Spongebob just don’t work when transferred to a human. His eyes are bulging, the holes in his head are creepy, and his square physique is the stuff of nightmares. Human Patrick isn’t as bad; aside from his strange head shape it just kind of looks like he’s been bulking up, but he’s definitely not a happy children’s TV character. The only time I want to see these characters in the real world is when they hitch a ride with David Hasselhoff in The Spongebob Squarepants Movie. I think it’s safe to say these characters are better left as cartoons!